BANGOR, Maine — Grant Standbrook was invited to return to the program he served so well for so many years. 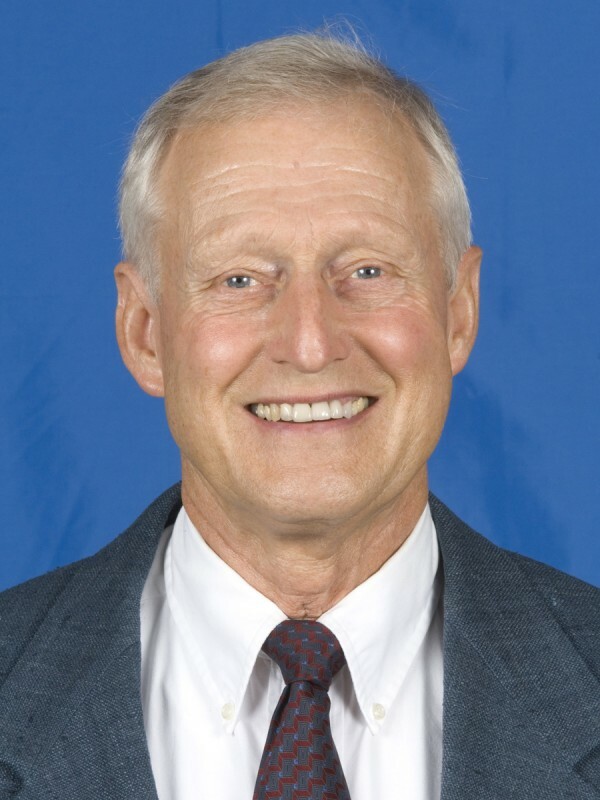 But the former University of Maine men’s hockey assistant coach and recruiting coordinator told the BDN on Wednesday that he has decided to retire from coaching. He most recently served as a coaching consultant for Jim Montgomery’s Dubuque Fighting Saints in the United States (Junior A-amateur) Hockey League and they captured their second Clark Cup championship in three seasons last month. Former Black Bear captain Montgomery has moved on to become the head coach at the University of Denver and Standbrook said both Montgomery and newly named Maine head coach Red Gendron approached him about becoming an assistant. “It took a lot of time and deliberation but I’ve made up my mind not to coach any more. I’ll miss it but I won’t miss it. My wife [Joy] has been wonderful letting me fulfill this passion I have [for coaching]. It’s time for me to reciprocate,” said the 75-year-old Standbrook, who also wants to spend more time with his three children (Todd, Jill and John) and six grandchildren. Standbrook, who shares his time between Bangor and Florida, spent 18 seasons at Maine and helped the Black Bears to two NCAA championships, 11 Frozen Fours and a 493-216-66 record. He coached 34 All-Americans and 10 Olympians. He also won three NCAA titles as an assistant at the University of Wisconsin. Between Wisconsin and Maine, he has coached 68 NHL players. He said he feels that the Black Bears will return to prominence under Gendron and his coaching staff, which includes Ben Guite. Another full-time assistant will be named soon. Maine has made the NCAA Tournament just once in six seasons after a run of nine straight appearances. Standbrook also expects Montgomery to flourish in Denver. “They’re both going to be very successful,” said Standbrook. “They’re terrific coaches. They’re well-organized, they know the game, they’re good with people and they’re decisive. “And they don’t micromanage,” added Standbrook. He said it will take some time for Gendron to rebuild the Maine program. “It’s not going to happen overnight but Red will get it done. I hope all the alums get behind him. I know they will,” said Standbrook, who was inducted into the Manitoba Hall of Fame last year. Standbrook also was pleased about the appointment of Guite, who will get his first coaching stint after recently retiring from a 13-year, 851-game pro career that included 175 NHL games. “He has a good background. He is going to attract players. He was a hardworking player who persevered, made it to the NHL and survived a lot of years in pro hockey. He’s a classy kid who is fluent in French and English. He will really represent the university well when he goes out to recruit players and their families,” said Standbrook.